As a geographer, I have always loved the thrill of travel and encountering the sights and activities of the real world. 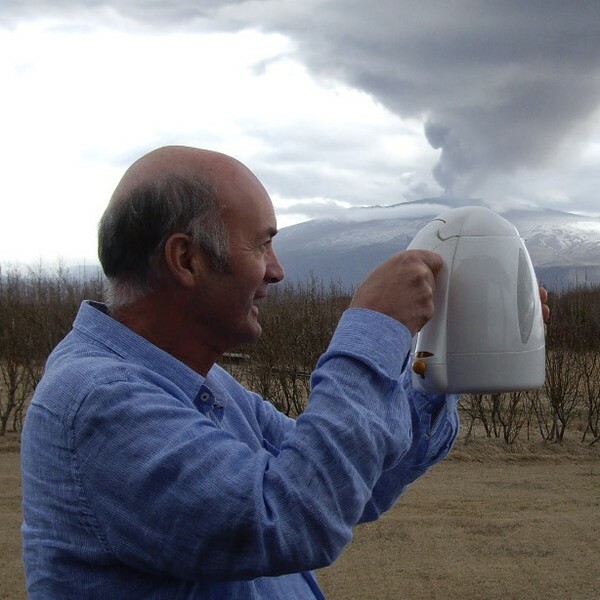 In my career as a High School Geography Teacher, I enjoyed not only introducing and educating students on many varied geographical topics but also engendering inquisitiveness in order that they gained a true depth of understanding and appreciation of the issues involved. Leading my students on many educational trips was always the "icing on the cake", the time when realization truly dawned and all classroom learning came fully "alive", meaningful and purposeful; this was very fulfilling. Thus travel needs to have a purpose, an aim, an end result; travel is not simply going away and coming back home! Look, see, interpret, evaluate, consider, understand and thus become more educated, more considered in opinions and viewpoints. Travel should indeed broaden the mind of the traveler but also benefit many people who are encountered along the way. "I now specialise in assisting in both Morocco and Iceland. Specifically thinking of Morocco, it is a country with so much to offer the visitor. The landscapes, the people, the activities (traditional and modern), the cultures; what a kaleidoscopic mix! Trips that can be fully organised can be "Travelling Tours" of one or many more days duration, perhaps travelling in to the High Atlas or into the Sahara (perhaps spending overnight in a Bedouin camp). Also Trips can be "Hikes and Treks", again of either one or many more days duration, exploring the remote places of the High Atlas, encountering friendly and welcoming Berber communities, perhaps spending nights in a Berber home if wished. 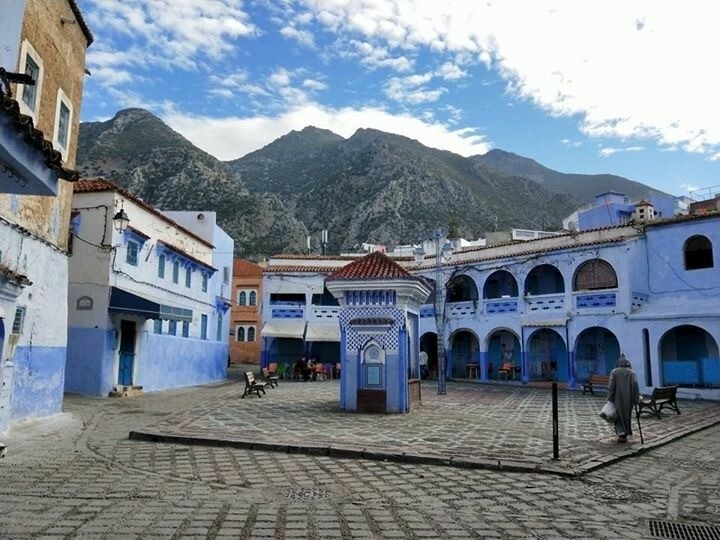 Also, the Anzal Tours unique "Highlight Days" are individual speciality days that take you well off the beaten track to quite stunning places where you can truly experience the very real Morocco, the Morocco that "lies behind", the Morocco that is simply remarkable. 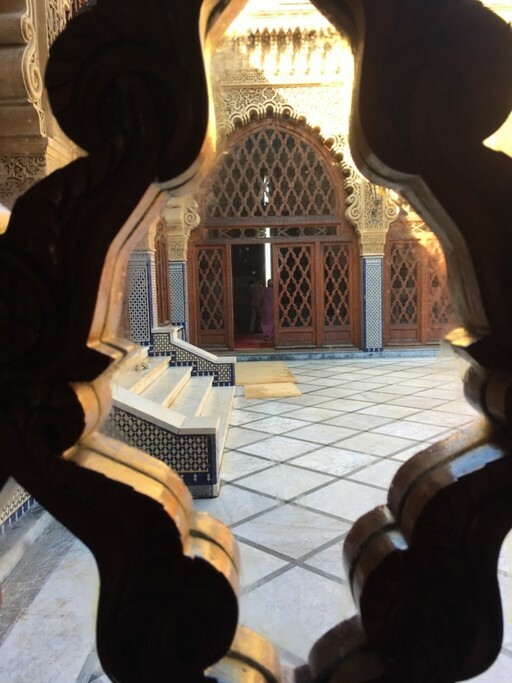 I thoroughly enjoy assisting in the development of tailor made itineraries for Anzal Tours's clients, first listening too their ideas and needs, suggesting additions/alternatives and then together finalising their ideal tour." "My travels beyond my home country of Scotland really began whilst working as a geography teacher, planning, organising and leading my own students to foreign lands each year. Much of mainland Europe was explored from its lowlands (e.g. The Netherlands) to its highlands (e.g. the Swiss Alps), to the Mediterranean shores. Iceland become a most popular destination; one visit and you are smitten! This stunning country became a firm favorite amongst my students and every few years a 15/18 day epic trip was organized, a trip whose events and memories live on with participants to this day. South West USA was also visited, quite a contrast to Iceland's sub arctic. Whilst teaching I was also working as Geography Consultant for a large UK Educational Tour Operator, establishing and developing their Geography Study Tours. This involved many trips overseas to research and then write study materials for students. 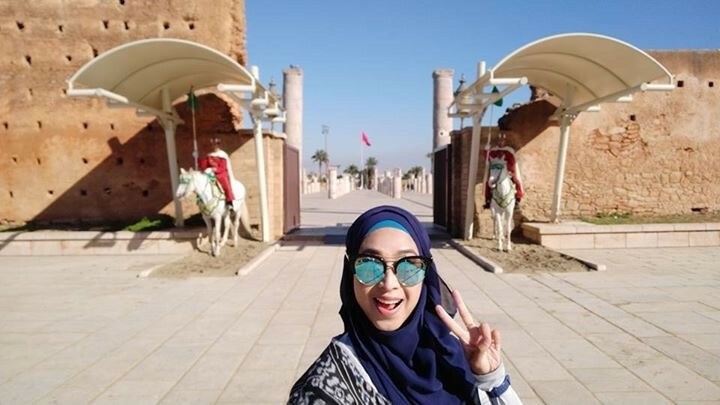 When I left teaching to take up a full-time job with the UK Educational Tour Operator, as well as Europe and the USA, China was visited and also Morocco. Morocco was a total eye and mind opener. It was a remarkable experience that first trip, a thrill that continues as I now frequently the country each year (but not in July or August!). Morocco offers such contrasts, from its Mediterranean north, the central Atlas mountains and the Sahara in the south. The land, the people are so colorful, so active, so interesting; once again I am smitten!" "It was late May and the day began with a drive towards the foothills of the High Atlas in Morocco. My friend and I had no particular itinerary in mind, just simply to follow our noses. But once in to the foothills around Amizmiz, something was drawing us inwards and upwards, further and deeper into this astonishing mountain massif. As we gained height the rocky, beautiful mountain slopes were seen to be alive, alive with people, adults and children ... and many donkeys! It was harvest time in the High Atlas and the barley was being hand gathered. Many waves were received and reciprocated as we drove ever upwards to our unknown goal. We were amongst Berber communities, wresting a living from the hard land through strong and fervent endeavour. It was magical, we were in another world, a world apart, a world very far from the life in Marrakech, the city we had left that morning. By now the road had become piste (unsurfaced), winding and steep. But we were drawn in; let's see where this takes us, this is an adventure, destination unknown. We could only imagine the hard labour of the farmers and their families; it was hot, very hot, it was dusty and their small fields were very many; there was much to do to be able to survive until the next year's harvest. Eventually we came to the end of the road. We parked and within moments of leaving the car to take a stroll in the most beautiful surroundings we had glasses of hot sweet mint tea thrust into our hands; no curious looks, no suspicions, only instant inclusion by the Berbers. How humbling. After some chat we were advised to walk a little further in to the valley ahead, not far, only a few hundred metres, and there we would see a natural wonder, the "Mouth at the Entrance to the World". We followed a stream, the "river of life" for this community, and there it was, a water cut canyon, stained red rocks with vertical fretted walls; indeed it did look like the mouth to another world. And coming through the narrowest of gaps was an old Berber man, on his donkey, coming towards us. 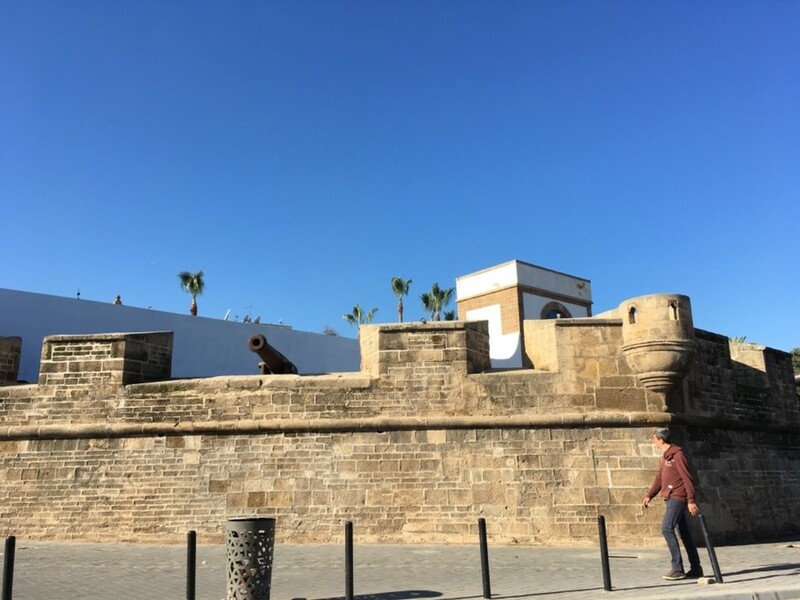 My friend, a Moroccan, engaged in easy conversation with him (in a mix of Berber and Arabic languages); again, we felt immediate inclusion, we were welcome, very welcome. They were proud of their land, of their community, of their ability to live in such a demanding environment that did give rewards to those who endeavoured and persevered. On returning to the village there was more mint tea proffered, more conversation and then we left but with a good deal of hesitation. So we did hesitate, met some more kindly and gentle Berbers who invited us to drink yet more tea (with delicious cake) under the canopy of an apple tree orchard with the sound of rushing river water on the steep valley floor below as a backdrop. We had seen, learned and experienced so much on a day that was completely unplanned, just following our noses, going where we were invisibly led. Morocco once again had shown itself to be magical, entrancing and a sheer delight for all the senses. " Located in Morocco's High Atlas Mountains, the summit of Mt. Toubkal presents a worthy challenge. The climb takes two to three days, and you'll be rewarded with views of the ruggedly beautiful terrain. Whether you're an experienced high-altitude hiker or prefer a more leisurely trek to the summit, choose the itinerary that works best for you. The High Atlas mountains are more than just a backdrop for vibrant Marrakech. Only an hour from the city, spectacular scenery and culture await you, with plenty of trails to choose from. 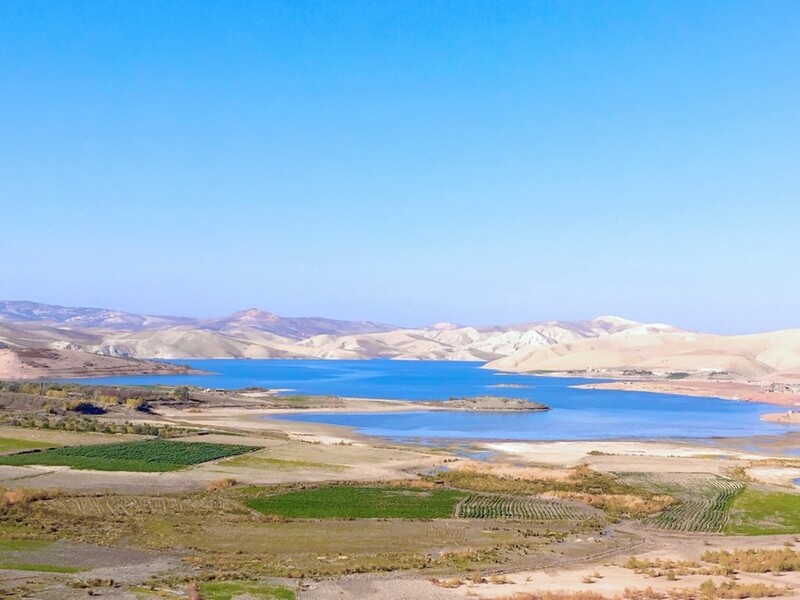 Check out one of these four easily-accessible regions and immerse yourself in varied terrain, stunning views, and local Berber culture. Extending from the Mediterranean Shores and Rif mountains in the north to the Atlantic Shores to the west to the hot desert lands of the Sahara in the south, Morocco is a vast country with a huge range of landscape regions. Cutting across its midline are the Atlas mountains, with the Sahara on one side and the more lush, coastal regions on the other. Morocco has activities for travelers of all ages and interests. With such a diverse landscape — from plains to mountains to coast and desert — Morocco is a great place both for both adventure and relaxation. Check out our list of favorite things to do, below. The choices are endless. 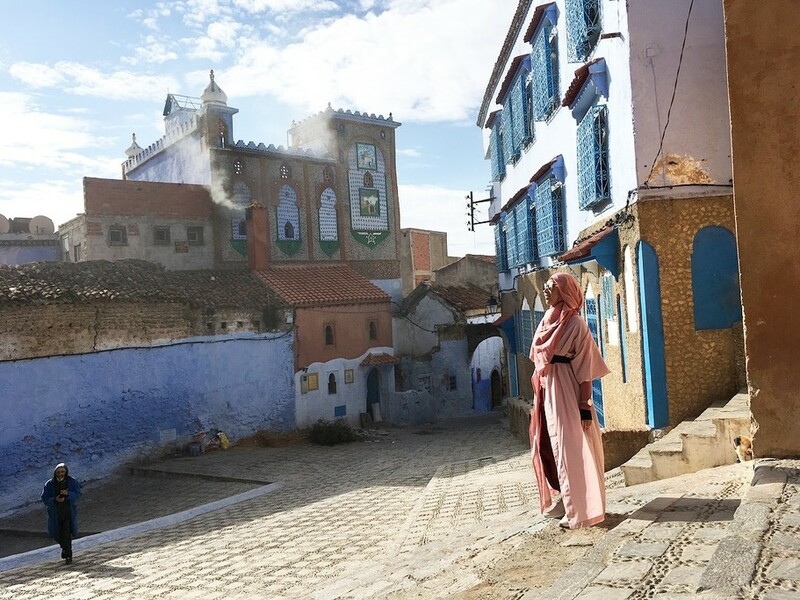 Morocco offers a lifetime of places to explore, but for most of us with a limited amount of time it's best to pick a few key places. We have put together a list of places and regions to consider as you go about the process of putting together the perfect itinerary. Said was perfect in every way. Good driver, knowledgeable, patient with us and always with a smile. He was punctual , respectful and when there was a mix up with one of our bookings, he handled it with no problem. We had the utmost confidence in him. He went out of his way to show us his culture. I would give him 5 stars for the service he provided and would recommend him without reservation. Excellent to hear that you had a great trip. It is very enjoyable creating bespoke tours for our travelers and it is important that all the trip’s element work well together. I am especially pleased to read that your driver was so high quality and I will pass your kind comments on to him. I hope you now have many superb memories of your time and travels with us in Morocco. Just back from a 5 day visit to Marrakech and Essaouira which was largely organised by the Kimkim team. 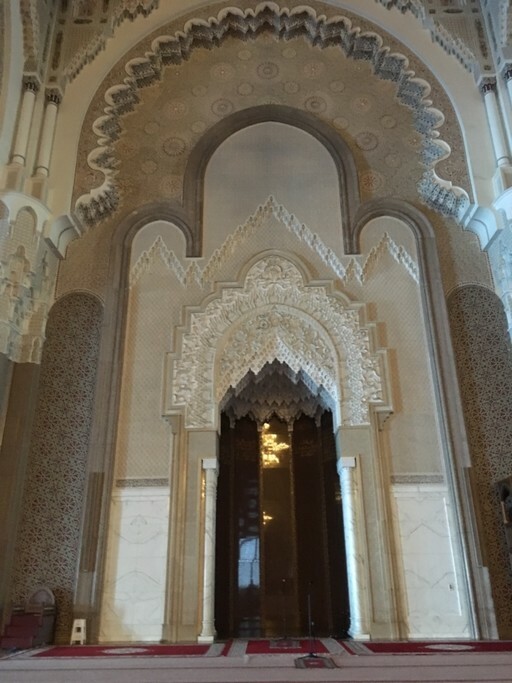 We had a tremendous time; everyone was very helpful and the guides, drivers, riad staff, etc that we encountered were so friendly and professional, really knowledgeable. In many years of travelling, I had never previously used a company to arrange trips and transport in advance but i'm very glad I did. Kimkim removed the stress factor so that we could really relax and just enjoy the activities. I am very pleased to read your review Laura. It sounds like you had a great time and that you felt very well looked after by all whom you met. 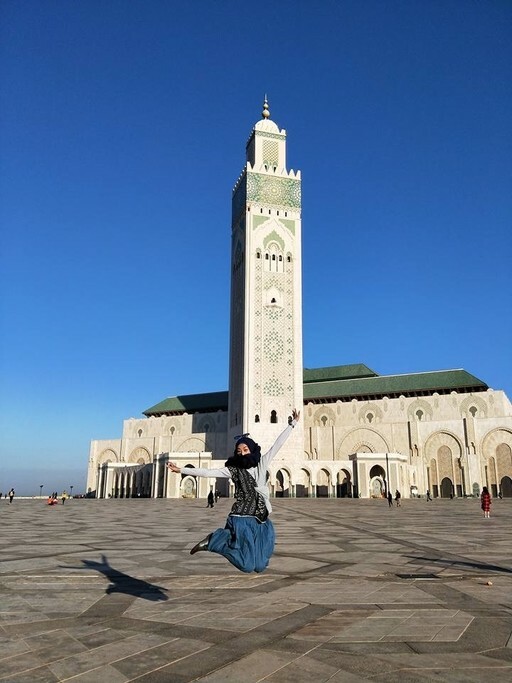 I am happy to know that your Kimkim experience - along with Anzal Tours service - allowed you to really enjoy your trip with all the practicalities and logistics being taken care of for you so that you could truly be on holiday. Happy future travels. Ian. Our driver Sellam was outstanding and so were Larbi and Hassan, the guide in Fes. The riad in Fes was beautiful, but the food was awful and the owner, Assis kept promising food/meals that never came since the kitchen didn't know about it and his stuff has no clue and the cook(s) don't either. The bathroom always stank of sewage. We were in room #19. We also were required to pay an extra $85 for a New Year's Eve Fiesta, that also did not exist and the New Year's dinner was uneatable. Plus, Assis refused to return the $85 to Larbi, Larbi nevertheless did reimburse us out of his own pocket. We learned later from another driver, that Assis did the same thing to him and his guests. We understood, that Assis took over the management of the riad only recently and that the riad before was run very well. The main dinner course in the hotel in Rabat was also uneatable. We were the only guests and the meat and veggies were cooked in rancid, old and overheated oil. The hotel has a 4-star rating - it should have a minus 4-star rating. Hassan and Samira in the riad in Marrakech were absolute charming and great hosts. Samira is a fabulous cook. Everything was great! All the other places were fine. I only mentioned above the really great and really bad experiences. I am pleased to read your review, thank you very much for taking time to write it. It is unfortunate that some accommodations underperformed; all such comments help Anzal Tours to make some decisions regarding our service providers that will certainly be in the interests of the company being able to offer the very best for our travelers. It was good to be with you on your High Atlas day; I learned a lot of from you and I hope that I gave you some good information about Morocco too. It is excellent that Sellam, your driver, provided such good, professional service for you. Happy future travels! Larbi, Owner of Anzal Tours. We loved our time in Morocco! It was especially great because of our driver/guide Saleh. He was very professional and respectful to us. We were very satisfied with Hotel Amlal, beber camp site, and Hotel Casablanca. The only issue we had was with Hotel Akabar. It did not really meet our expectations and the hotel and dining staff were not great. It was the only accommodation that did not provide us with any water during our dinners, and did not give us an option for dinner like the other accommodations. We would go out to buy water for our meals at Hotel Akabar. Other than this, we truly had a great experience and we are so grateful for our driver and guide Saleh! Please give him a special shout out! We (a group of 4) started planning our Morocco trip almost too late - by first week of December we were still discussing whether Morocco is our destination for 2017's Christmas - New Year break. I was elected to be in charge of planning this trip. 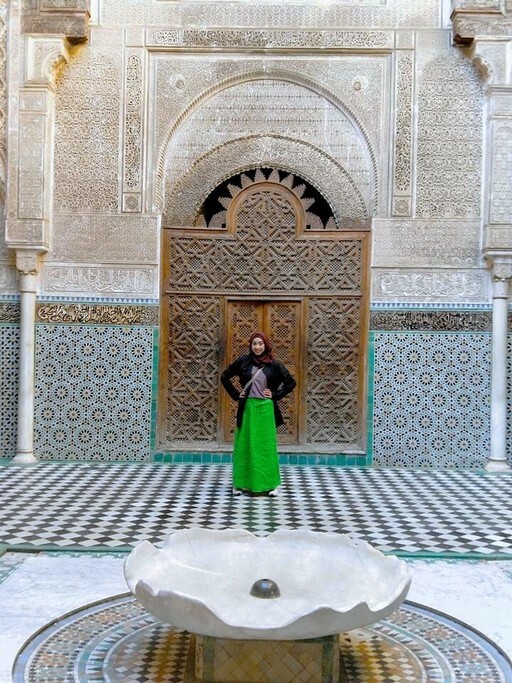 We only have 7-8 days but we don't want to miss a thing in Morocco - eventually I was sitting there scratching my head looking at a list of 7 different cities/places and trying to weaver them together with almost no knowledge of how to get around when we get there. So I made a decision of entrusting the entire trip to an agency. I contacted two agencies (both N. America based) and got their fee proposals. The prices were exorbitant. I also found some Morocco based tours but they lacked the flexibility we needed. 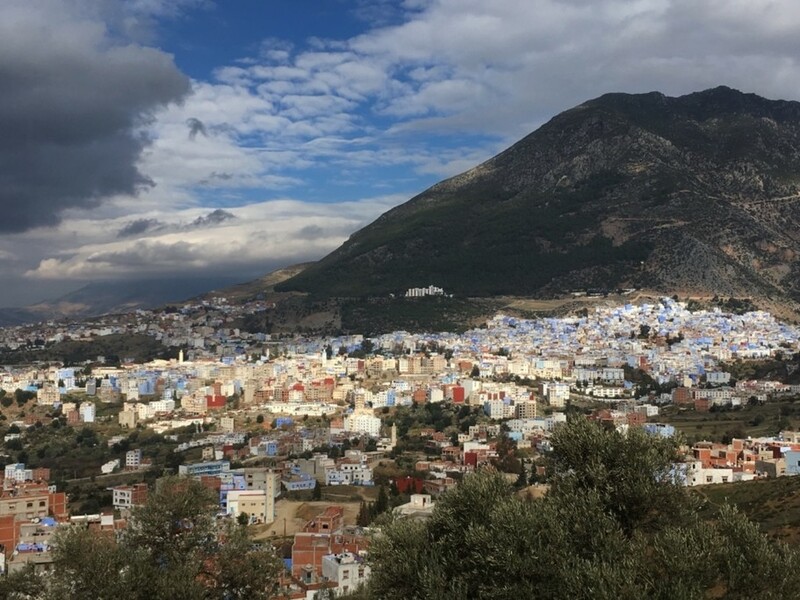 Casablanca - Chefchaouen - Fes - Merzouga (camel ride and sleeping under the stars!) - Ouarzazate - Marrakech - Casablanca. Eventually I stumbled upon KimKim and gave it a try. Ian Hardie replied my message in under an hour and then we started talking. In the next 3-4 days we exchanged at least 20 messages discussing every detail of the trip. Ian was extremely helpful. He had extensive knowledge about the places we plan to go and what to be expected. He was always very patient and willing to accommodate our many requests. 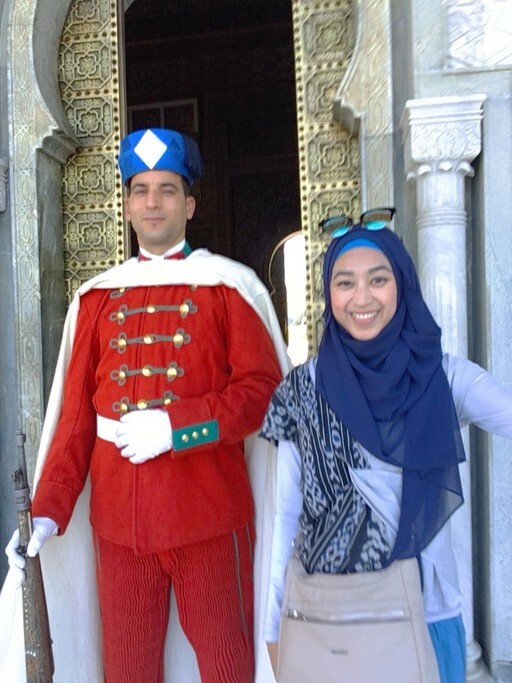 His partner in Morocco - Larbie Anzal - was helping us to book accommodations and arranging transportation. I knew I could trust these good people and the results proved me right. It was almost a mission impossible to plan and execute such an intensive trip in such a short timeframe but we did it. 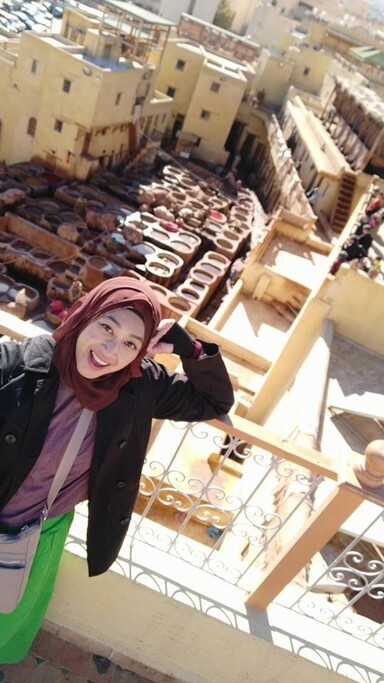 The trip in Morocco was very memorable. I'd even say it is one of the best trips I've had in my life. Youssef our driver was a great guy who was always passionate to show us anything and everything about his country. He also stepped up and defended us when a local cafe vendor attempted to overcharge our espressos. But trust me we loved almost every encounter with Moroccan people. They were very welcoming and kind. Youssef had a copy of our trip plan and it was executed in the best way possible. By comparison some friends of mine visited Morocco last year and they decided to be on their own - and had a lot of difficulties moving around trying to take a combination of trains, grand taxis and other means of transport. I did just that in Czech, Austria, Slovakia etc last year - in central Europe it was doable. 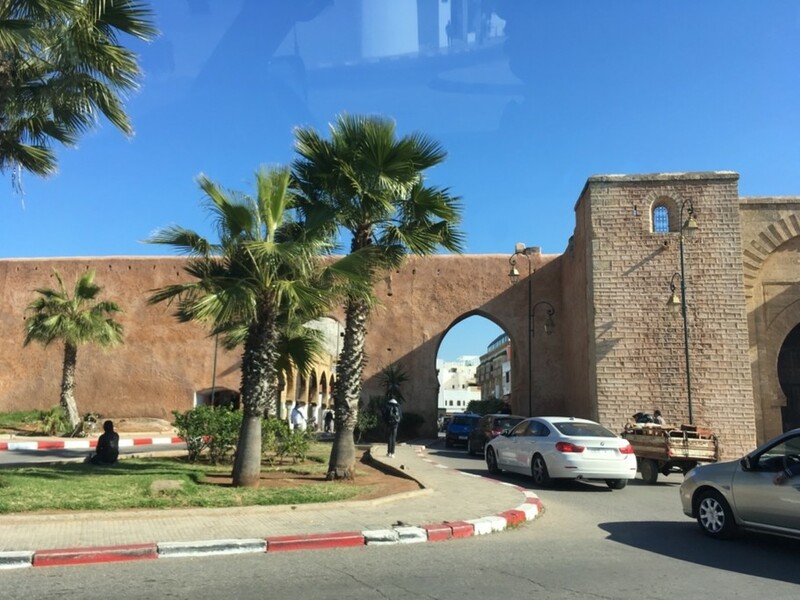 In Morocco however, especially when you have a tight schedule and are planning on visiting the Sahara, having an exclusive car and driver is your best bet. 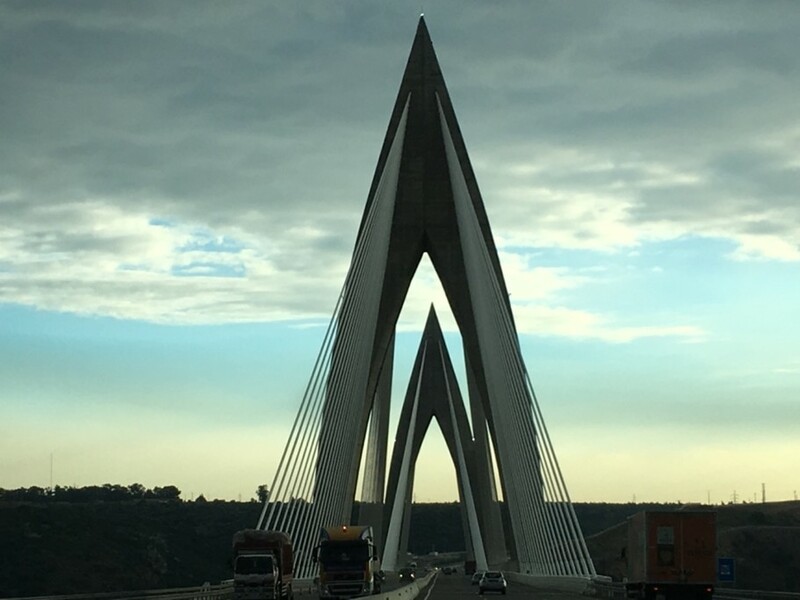 My advise to people who are planning this trip: talk to Ian, and ask for Youssef to be your driver and trustworthy travel companion - you will find your trip extremely pleasant, easy, comfortable and hustle-free. 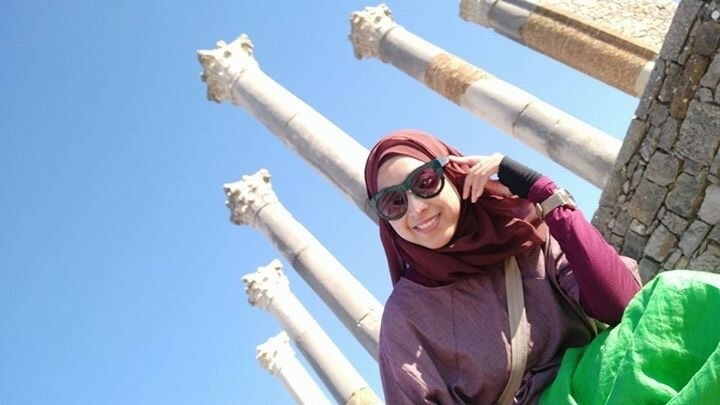 My friends just told me that their coworkers and friends who've been to Morocco were all surprised how efficiently we were able to visit so many places in 7 days and yet were still able to have a very enjoyable trip. My friends gave me tonnes of thanks and compliments for making this happen - I'd like to pass them on to Ian Hardie, Larbie Anzal and our driver Youssef. Without them our trip may not even be possible, let alone being awesome. I won't hesitate to recommend Ian and Larbie to anyone who's planning their next trip to Morocco. You won't regret it. There are so much about this trip and about planning for this trip that I wanted to write here and share with everyone, only if I had more time. Maybe some other day I'll come back and add more details to it. Now I have to go back to the endless hardwork of sorting my 5000+ photos taken on this trip...hope I can finish before next trip starts. We are absolutely delighted to read your review of your recent Morocco. Tour. Many thanks for taking so much time to write it and to be so fulsome in your many positive statements. Larbi and myself aim to provide great trips for our travelers and it is so very heartening to read of the enjoyment that you and your companions experienced througout your Anzal Tours tour. It was excellent working with you, adding tweaks and adjustments to your draft itinerary so that together we created your ideal tour. Spread the word! Morocco is awesome and in so many ways. Many thanks for letting us know what you thought of your tour; it is a great reward for us, knowing that our most earnest and genuine efforts - and all within a tight time frame! - provided you with a most memorable tour. Kind regards, Larbi and Ian. Ian has provided me with a really good service and information. Also thank to Larbi, his partner in Morocco for arranging the trip. I got to visit lots of places in my short amount of time. Since I am a solo traveler, the amount they’ve given me to explore each city is adequate. Within 5 days 4 night, I’m able to discover Casablanca, Rabat, Meknes, Volubilis, Fez, and Chefchaouen. Also a short city tour in Ouezzane. If I added 1 more day, I’m sure I’ll be able to discover Marakkech as well. But for now, northern Morocco is more than enough. I am delighted that you had such a great trip. Many thanks for your very positive review. You certainly covered a lot in your few days in Morocco. The photographs are superb as well. I think you have a very nice collection of images to enjoy long into the future. You mention Marrakech. It is certainly a city you would like, I am sure. So, maybe, one day, a return vist could take in this city and perhaps also the High Atlas and perhaps even the Sahara. Morocco has such variety. Once again, we are both delighted that you enjoyed your tour. It is very kind of you to let us know in your much appreciated Trip Review.